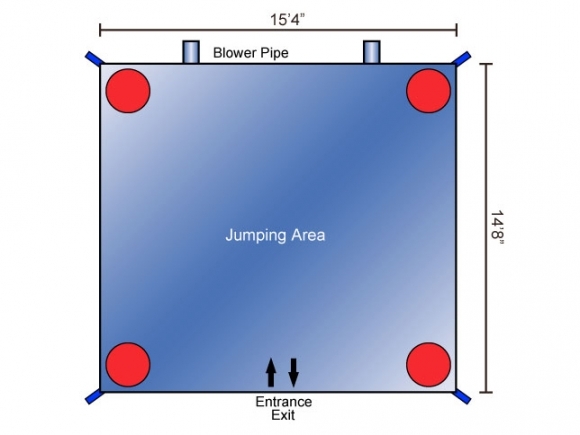 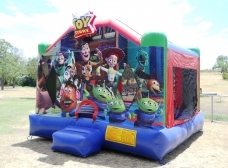 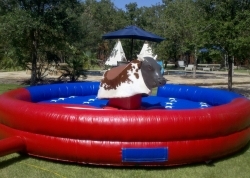 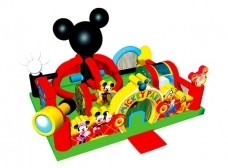 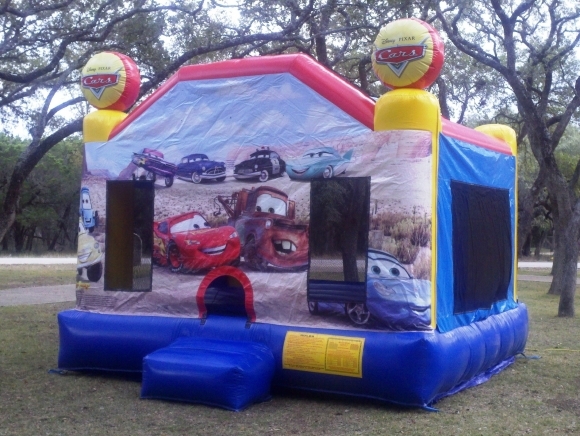 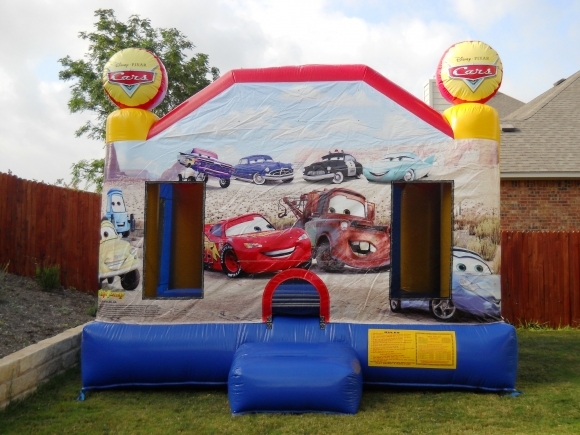 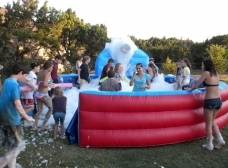 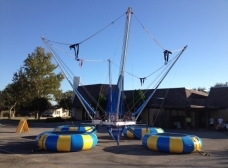 The licensed Cars large jump is a bounce house for hours of fun with the whole gang in Carburetor County. 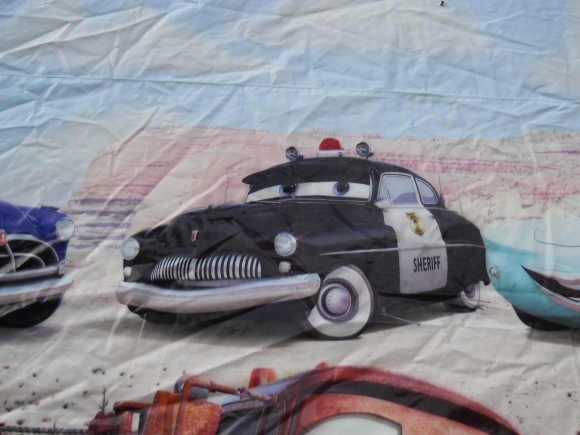 Artwork with Lightning McQueen, Flo, Doc Hudson, and Mater greets young fans of this animated stock car race, as they go for the Piston Cup. 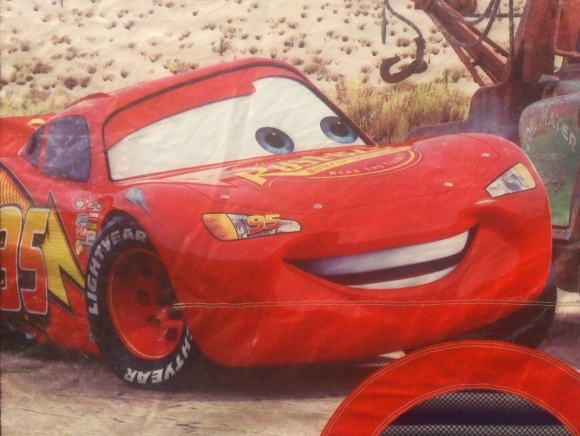 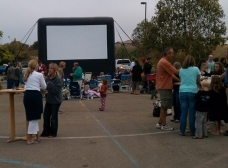 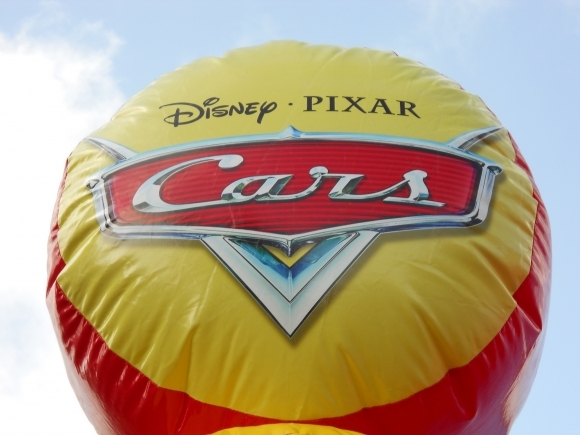 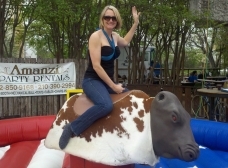 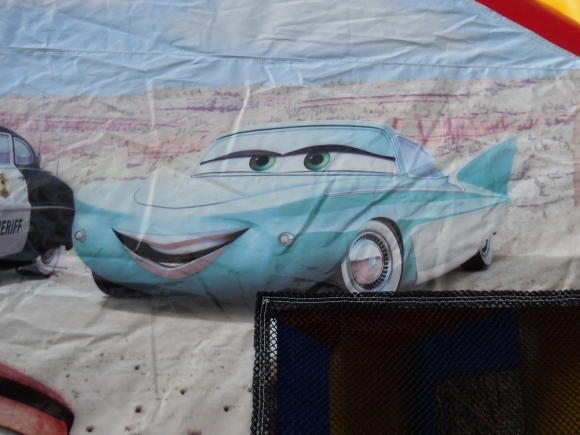 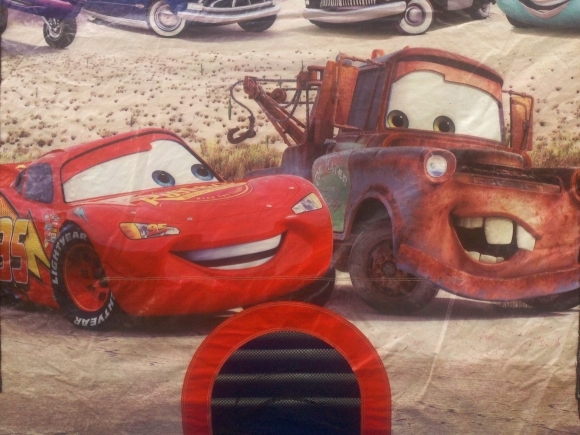 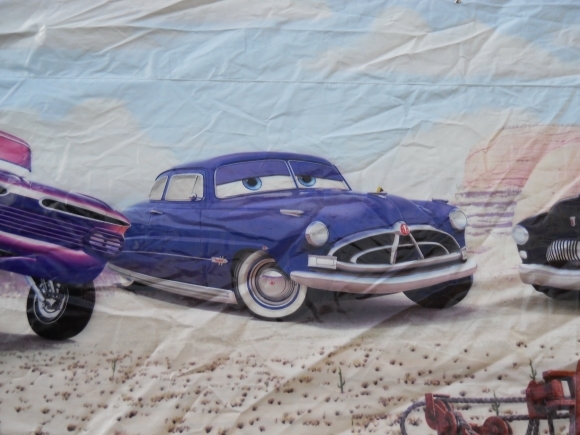 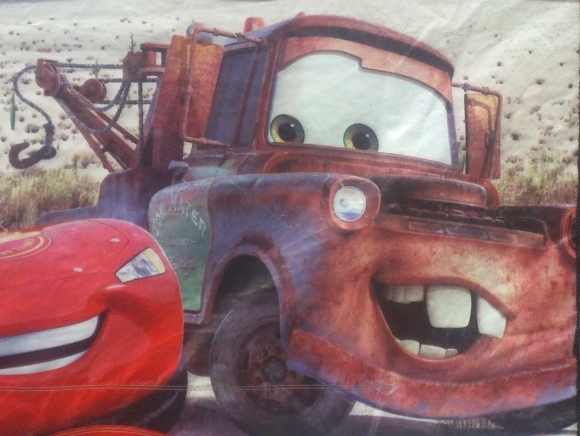 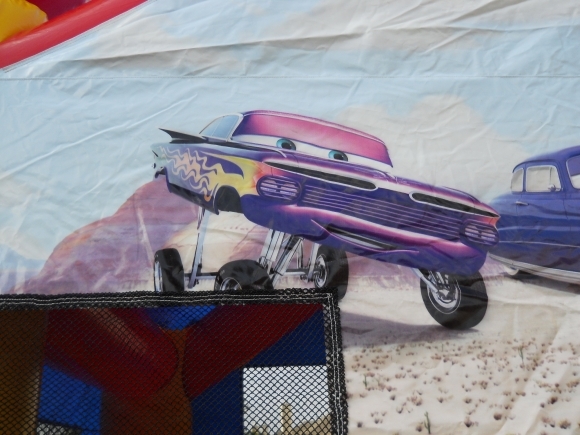 The Cars large bounce house sports brilliant graphics for a realistic depiction of the antics in Radiator Springs.